Your chance to see what your can really do in your BMW! A fun day in the safe environment of a race track. 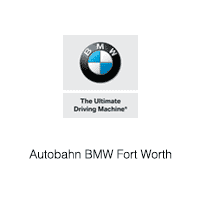 Autobahn BMW is partnering with the Lonestar Chapter of the BMW Car Club of America to bring you professional driver training. Using your own BMW, at your comfort level, our professional driving trainers will help you go faster, brake better and gain overall confidence in your driving ability. We will all be able to see what our wonderful vehicles can do! This training is not just good for a faster lap time, but more importantly, raising the game on the road to make you a better and safer driver. This is not just for sport cars, as our SUV drivers had the most fun last year! Do not miss this fun experience. Included will be a complimentary year of membership to the BMW Car Club of America. Meet at the Main club-house (we will mark out with flags).